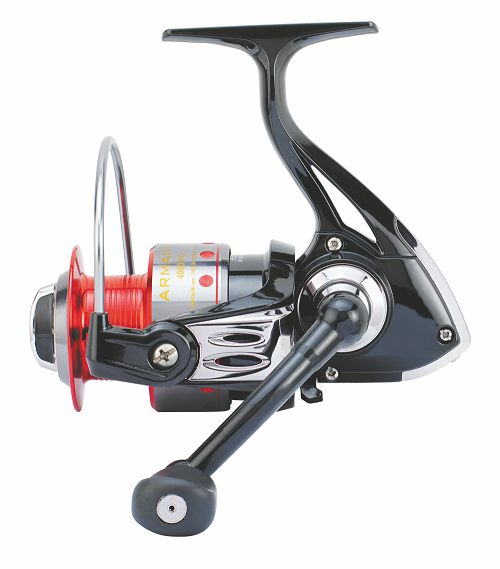 Versatile, good quality front drag spinning reel. Ideal for targeting anything from bream, flatties or snapper and salmon. Can work fine in rivers and lakes too for anything ranging from callop to sooty grunter and big perch. Body and rotor in carbon. Recovery speed: 0.75 m/1 crank. Adore Tackle sells exclusively in Australia premium European fishing brands, such as: SPORTEX Germany, D.A.M Germany, COLMIC Italy, BALZER Germany, SUNSET France, SAKURA France and more. We offer a wide variety of fishing rods (surf rods, boat rods, spinning rods or travel rods) and fishing reels (spinning reels, big game and surf reels, overhead reels, etc) soft and hard fishing lures, mono or braided fishing lines and accessories. All our fishing tackle products are 100% genuine and backed by 2,3 or 10 year manufacturer warranty. On top of that, we offer FREE Shipping on all orders Australia wide with no minimum order amount. Find the best deals and offers from Adore Tackle. Subscribe to our newsletter to be the first to know. Read news from the fishing world. Adore Tackle keeps you up to date with the latest events in the industry. Learn from the best. Read tips, tutorials and reviews by Adore Tackle. Copyright © 2018 Adore Tackle Pty Ltd. All rights reserved.